Like I said on Friday, I'm full into baby girl projects right now. I started my first one on Friday and it turned out pretty good for my first time. I found these super cute shoes on Pinterest and found that they were from Make It and Love It, so I started looking through her website and oh the projects just kept coming. 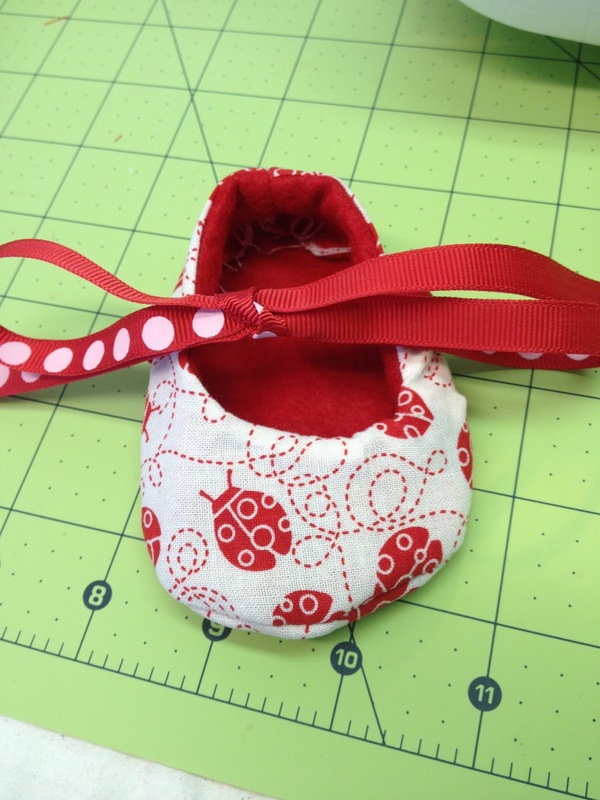 BUT I decided that my first project would be these cute little shoes. I bought the pattern here and it was super easy to follow. I didn't have all the supplies she calls for, so I used Heat and Bond instead of webbing (I'll go buy some soon though) and used synthetic felt instead of wool because I didn't have any on hand. 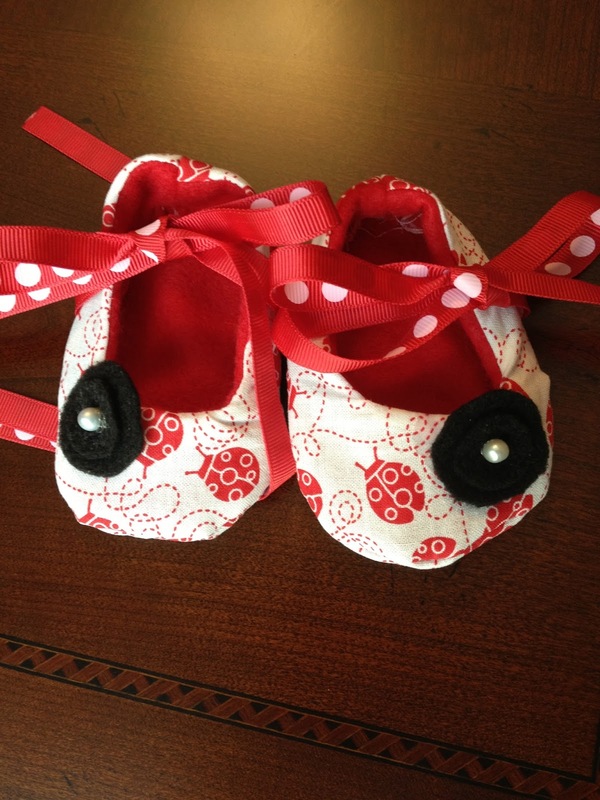 They turned out super cute and I can't wait to see them on some baby feet! This is just finished before embellishments. I consider myself a beginner at the sewing machine and I am mostly self taught with the help of the internet so this took me a good 3 hours for the first time. I'm sure the more I do the faster I will get but just keep that in mind if you are looking at doing this project. It is easy just took some time. Those are really cute and the ones you made are cute as well! You are lucky to find those on the website and good thing you have the skills to actually make them. You say you are a beginner but those shoes look like were made by a professional.